The author consulted many more books than are listed; only the most generally useful are given here. Alden, John R., A History of the American Revolution (Macdonald, 1969). Baldick, Robert, The Duel (Chapman & Hall, 1965). Blake, Nicholas, and Lawrence, Richard, The Illustrated Companion to Nelson's Navy (Chatham, 1999). Boxer, C.R., The Portuguese Seaborne Empire, 1415-1825 (Carcanet, 1991). Briggs, Asa, How They Lived: Volume III (Basil Blackwell, 1969). Bryant, Sir Arthur, The Years of Endurance 1793-1802 (House of Stratus, 2001). Bryant, Sir Arthur, The Years of Victory 1802-1812 (House of Stratus, 2001). Bryant, Sir Arthur, The Age of Elegance 1812-1822 (House of Stratus, 2000). Churchill, Winston S., A History of the English-Speaking Peoples, Volume 3 – The Age of Revolution (Cassell, 1991). Colley, Linda, Britons: Forging the Nation 1707-1837 (Pimlico, 1994). Curling, H. (Ed. ), Recollections of Rifleman Harris (contemporary account). Deacon, Richard, British Secret Service (Grafton, 1991). 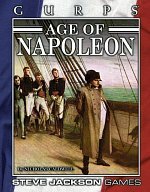 Durant, Will and Ariel, The Age of Napoleon (Simon and Schuster, 1975). Elting, John R., Swords Around A Throne: Napoleon's Grande Armee (Phoenix Giant, 1997). Esdaile, Charles J., The Wars of Napoleon (Longman, 1995). Ford, Franklin L., A General History of Europe: Europe 1780-1830 (Longman, 1970). Fregosi, Paul, Dreams of Empire: Napoleon and the First World War, 1792-1815 (Century Hutchinson, 1989). Goodwin, A., The French Revolution (Hutchinson, 1953). Hampson, Norman, A Social History of the French Revolution (Routledge, 1995). Hart, Roger, English Life in the Eighteenth Century (Wayland, 1972). Haythornthwaite, Philip J., Napoleon's Military Machine (Hippocrene, 1998). Haythornthwaite, Philip J., The Armies of Wellington (Arms and Armour, 1994). Haythornthwaite, Philip J., Who Was Who in the Napoleonic Wars (Arms and Armour, 1998). 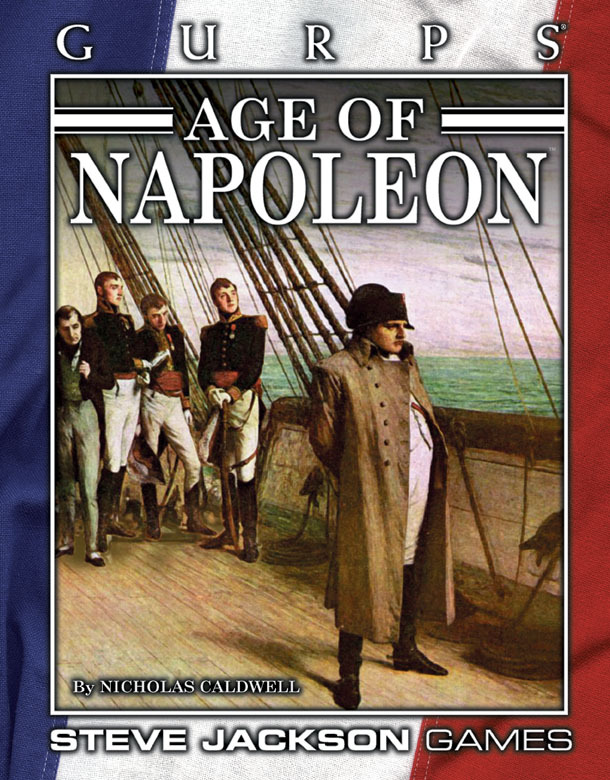 Herald, Christopher, The Age of Napoleon. Hibbert, Christopher, Redcoats and Rebels: The War for America, 1770-1781 (Grafton, 1990). Hibbert, Christopher, The French Revolution (Penguin, 1980). Horne, Alistair, How Far from Austerlitz: Napoleon 1805-1815 (Macmillan, 1996). Keegan, John, The Face of Battle (Pimlico, 1991). Kincaid, Dennis, British Social Life in India, 1608-1937 (Routledge & Kegan Paul, 1938, 1973). Kincaid, Captain John, Adventures in the Rifle Brigade (contemporary account of the Peninsular War). Knox, Oliver, Rebels and Informers: Stirrings of Irish Independence (John Murray, 1997). Kochan, Miriam, Life in Russia under Catherine the Great (B.T. Batsford, 1969). Lachouque, Henry, The Anatomy of Glory: Napoleon and His Guard: A Study in Leadership (Greenhill, 1997). Lewis, Gwynne, Life in Revolutionary France (B.T. Batsford, 1972). Marcus, G.J., Heart of Oak: A Survey of British Sea Power in the Georgian Era (Oxford University, 1975). Parry, J.H., The Spanish Seaborne Empire (Hutchinson, 1977). Pivka, Otto von, Armies of the Napoleonic Era (David & Charles, 1979). Pivka, Otto von, Navies of the Napoleonic Era (David & Charles, 1980). Polnay, Peter de, Napoleon's Police (W.H. Allen, 1970). Pope, Dudley, Life in Nelson's Navy (George Allen & Unwin, 1981). Pope, Steve, Hornblower's Navy: Life at Sea in the Age of Nelson (Orion Media, 1998). Quataert, Donald, The Ottoman Empire, 1700-1922 (Cambridge University Press, 2000). Rothenberg, Gunther, The Napoleonic Wars (Cassell Military, 1999). Rudé, George, Europe in the Eighteenth Century: Aristocracy and the Bourgeois Challenge (Weidenfeld, 1972). Rudé, George, The French Revolution (Weidenfeld and Nicolson, 1988). Schama, Simon, Citizens: A Chronicle of the French Revolution (Penguin, 1989). Schama, Simon, Patriots and Liberators: Revolution in the Netherlands 1780-1813 (Fontana, 1977). Schom, Alan, Trafalgar: Countdown to Battle 1803-1805 (Michael Joseph, 1990). Sparrow, Elizabeth, Secret Service: British Agents in France 1792-1815 (Boydell, 1999). Sydenham, M.J., The First French Republic 1792-1804 (B.T. Batsford, 1974). Sydenham, M.J., The French Revolution (B.T. Batsford, 1965). Taylor, Dale, The Writer's Guide to Everyday Life in Colonial America (Writer's Digest, 1997). Wilbur, C. Keith, Pirates and Patriots of the American Revolution (Globe Pequot, 1994). Osprey Men at Arms series – many titles of relevance to wargaming campaigns. Aldridge, Alfred, Man of Reason (The Life of Thomas Paine) (Cresset, 1959). Alexander, John T., Catherine the Great: Life and Legend (Oxford University, 1989). Andrews, Wayne, Germaine: A Portrait of Madame de Stael (Victor Gollancz, 1964). Cavaliero, Roderick, Admiral Satan: The Life and Campaigns of Suffren (St Martin's, 1994). Clarke, John, The Life and Times of George III (Weidenfeld and Nicolson, 1972). Cooper, Duff, Talleyrand (Jonathan Cape, 1932). Cronin, Vincent, Napoleon (Harper Collins, 1971). Derry, John W., William Pitt (B.T. Batsford, 1962). Donovan, Arthur, Antoine Lavoisier, Science, Administration, and Revolution (Cambridge University Press, 1996). Durova, Nadezhda A., The Cavalry Maiden: Journals of a Russian Officer in the Napoleonic Wars, translated and annotated by Mary Fleming Zirin (Indiana University Press, 1988). Forssell, Nils, Fouché, The Man Napoleon Feared (George Allen & Unwin, 1928). Grimsley, Ronald, Jean-Jacques Rousseau (Harvester, 1983). Hampson, Norman, Danton (Duckworth, 1978). Haslip, Joan, Marie Antoinette (Weidenfeld and Nicolson, 1987). Haswell, Jock, The First Respectable Spy: The Life and Times of Colquhoun Grant (Hamish Hamilton, 1969). Hibbert, Christopher, Wellington, A Personal History (HarperCollins, 1997). Hilt, Douglas, The Troubled Trinity: Godoy and the Spanish Monarchs (University of Alabama, 1987). Kirk, Russell, Edmund Burke, A Genius Reconsidered (Arlington House, 1967). Lewis, Charles Lee, The Romantic Decatur (University of Pennsylvania, 1937). Macdonell, A.G., Napoleon and his Marshals (Macmillan, 1934). Oman, Carola, Napoleon's Viceroy: Eugene de Beauharnais (Hodder and Stoughton, 1966). Padover, Saul K., The Life and Death of Louis XVI (Alvin Redman, 1965). Palmer, Alan, The Life and Times of George IV (Weidenfeld and Nicolson, 1972). Pocock, Tom, A Thirst For Glory: The Life of Admiral Sir Sidney Smith (Aurum, 1996). Pocock, Tom, Horatio Nelson (Cassell, 1987). Randall, Willard Sterne, George Washington: A Life (Henry Holt, 1997). Roberts, Warren, Jacques-Louis David, Revolutionary Artist (University of North Carolina, 1989). Sharma, H.D., The Real Tipu (Rishi, 1991). Strawson, John, The Duke and The Emperor: Wellington and Napoleon (Constable, 1994). Thomas, Donald, Cochrane: Britannia's Last Sea-King (Andre Deutsch, 1976). Thompson, J.M., Robespierre (Blackwell, 1935, 1988). Whiteley, Peter, Lord North: The Prime Minister Who Lost America (Hambledon, 1996). Connery, Tom, Markham of the Marines series. Beginning with A Shred of Honour (Orion, 1996), a disgraced Army officer tries to restore his career by transferring to the Marines during the Revolutionary Wars. Cornwell, Bernard, Richard Sharpe series. The trilogy beginning with Sharpe's Tiger (HarperCollins, 1997) details the wars against Tipu Sultan and the Marathas. The main sequence beginning with Sharpe's Rifles (Collins, 1988) covers the exploits of this private turned officer in the Peninsular War. A must read. Dickens, Charles, A Tale of Two Cities. "It was the best of times, it was the worst of times." 1790s England and France. Donachie, David, Harry Ludlow series. Beginning with The Devil's Own Luck (Macmillan, 1991), these combine privateering and solving mysteries. Doyle, Sir Arthur Conan, The Adventures of Brigadier Gerard. The misadventures of a French cavalry officer in Napoleon's armies. Dumas, Alexandre, The Count of Monte Cristo. Forester, C.S., Horatio Hornblower series. From Mr. Midshipman Hornblower (Michael Joseph, 1950) onward, the classic naval hero of the Napoleonic era. A must read. Howard, Richard, Alain Lausard series, beginning with Bonaparte's Sons (Warner, 1998). Lausard is a former aristocrat and officer conscripted into the ranks of Napoleon's armies. Kent, Alexander, Richard Bolitho series. From Midshipman Bolitho (Arrow, 1977) onward, action at sea from 1768 to 1815 with the scion of a Cornish naval family. Kurtz, Katharine, Two Crowns for America (Bantam, 1996). A secret history of the American Revolution. Lambdin, Dewey, Alan Lewrie series. First book is The King's Commission (Fawcett, 1996). Mallinson, Allan, A Close Run Thing (Bantam, 2000). Experiences of young Cornet Hervey at Waterloo; sequels deal with post-Waterloo watershed. Marryat, Frederick, Mr. Midshipman Easy. The best-known of Captain Marryat's sea yarns – based on his real experiences during the Napoleonic Wars under Cochrane. Meacham, Ellis K., Percival Merewether trilogy. Action with the Bombay Marine, beginning in The East Indiaman (Hodder and Stoughton, 1968). Nelson, James L., Biddlecomb series. First book is By Force of Arms (Pocket, 1996). These concern the adventures of an American privateer during the American War of Independence. O'Brian, Patrick, Jack Aubrey-Stephen Maturin saga. Beginning with Master and Commander (Collins 1970). Probably the finest sea series in terms of historical literature – combines naval action with espionage. A must read. Orczy, Baroness, Castles in the Air. The misadventures of a police agent in Restoration France. Orczy, Baroness, The Scarlet Pimpernel. Saving aristocrats from the guillotine in 1790s France, the first and best of 13 books. Parkinson, C. Northcote, Richard Delancey series. The Guernseyman (Methuen, 1983) is set during the American Revolution, later books cover the wars with France. Parkinson, Dan, Patrick Dalton quartet. Beginning with The Fox and the Faith (Pan, 2000). Dalton is accused of treason and forced to seek refuge in America during the American Revolution. Pope, Dudley, Lord Nicholas Ramage series. From Ramage (Weidenfeld & Nicolson, 1965) onward, the only son of the tenth Earl of Blazey battles his way through the Revolutionary and Napoleonic Wars defeating the enemy as well as Royal Navy admirals determined to court-martial him. Thackeray, William Makepeace, Vanity Fair. 1800s England. Tolstoy, Leo, War and Peace. 1800s Russia during the struggle with France. Woodman, Richard, Nathaniel Drinkwater series. Starting with An Eye of the Fleet (Sphere, 1984), this series combines gritty shipboard life and naval action with conspiracy and espionage. A must-read series. Beaumarchais the Scoundrel (Edouard Molinaro, 1997 – Region 2 only). France before the Revolution and Beaumarchais' involvement in the American War of Independence. Captain Horatio Hornblower (Raoul Walsh, 1951). Starring Gregory Peck and Virginia Mayo. This combines several novels, simplifying the plot. Carry On Don't Lose Your Head (Gerald Thomas, 1967). A light-hearted look at the French Revolution. Carry On Jack (Gerald Thomas, 1964). A comedy set in Nelson's navy. Dangerous Liaisons (Stephen Frears, 1988). Starring Glenn Close, John Malkovich, and Michelle Pfeiffer, based on the 1782 novel Les Liaisons dangereuses by Choderlos de Laclos. La Revolution Francaise (Robert Enrico and Richard T. Heffron, 1989). The French Revolution. Scaramouche: A Romance of the French Revolution (George Sidney, 1952). Starring Stewart Granger. (1923 version was directed by Rex Ingram and starred Ramon Navarro). The Count of Monte Cristo (Kevin Reynolds, 2002). The Duellists (Ridley Scott, 1977). Follows the lifelong enmity between two French officers during the Napoleonic Wars. The Madness of King George (Nicholas Hytner, 1994). Starring Nigel Hawthorne as George III and Helen Mirren as Queen Charlotte. Marie Antoinette (Sofia Coppola, 2006). Starring Kirsten Dunst as Marie and Jason Schwartzman as Louis, the main attraction is that this film was shot at and around the palace of Versailles. The Patriot (Roland Emmerich, 2000). Mel Gibson stars. Captures the mood of the American Revolution, but takes a few liberties with the facts. The Pride and The Passion (Stanley Kramer, 1957). Cary Grant in the film of C.S. Forester's novel The Gun. The Scarlet Pimpernel (Clive Dooner, 1982). Anthony Andrews is the Pimpernel. Faithful to the books. Waterloo (Sergei Bondarchuk, 1970). Rod Steiger as Napoleon ("Never interrupt your enemy when he is making a mistake.") and Christopher Plummer as Wellington ("I don't know what effect they have on the enemy, but by God, sir, they scare me!"). Blackadder the Third (BBC, 1987). Very funny comedy and satire set in Regency England, with Edmund Blackadder as butler to the Prince Regent. Horatio Hornblower (A&E, 1998). Ioan Gruffudd as the young Hornblower. Diverges somewhat from the books. Sharpe (Central, 1993). Sean Bean is Richard Sharpe with Daragh O'Malley as Patrick Harper. Diverges significantly from the books. The Scarlet Pimpernel (A&E, 1999). Richard E. Grant as Sir Percy and Elizabeth McGovern as Lady Blakeney. Any recent adaptation of Jane Austen's novels of home life in Britain during the 1800s.